So...I left the last post off with the spectacular end of our 5th day in Dalvik. 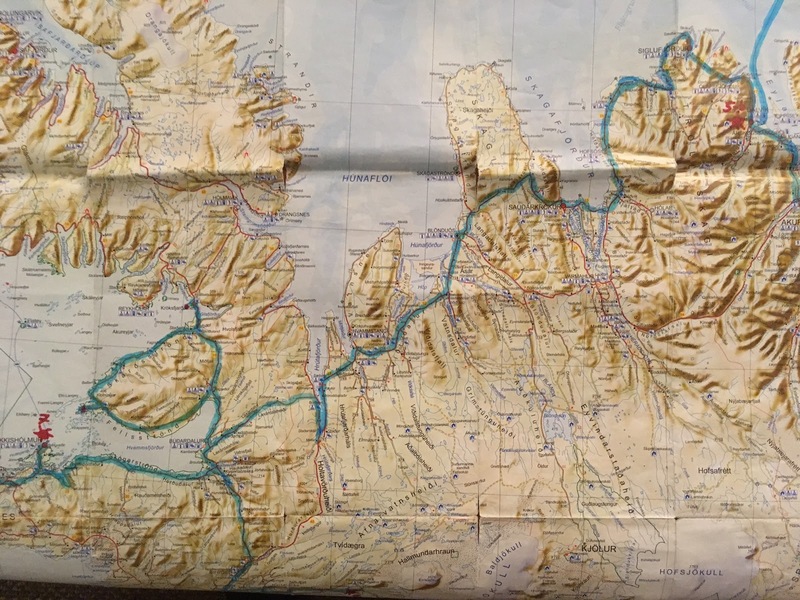 We fell asleep after having just seen the most indescribable Aurora spectacle and would be taking our ferry trip up to Grímsey the following day. For me, this side excursion was somewhat of a capstone to the overall trip. 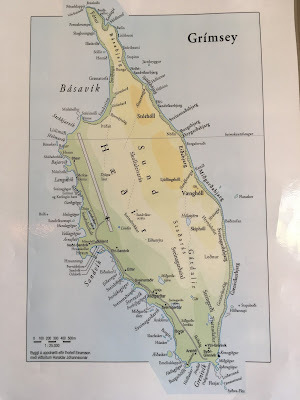 As I often consider myself a "geographile", and someone that seeks out the most remote and strange geographical oddities, taking a 3+ hour ferry ride up to a tiny Icelandic Island for the sole purpose of hiking to its Northern tip and thereby setting foot just a few hundred feet North of the Arctic Circle....was a dream come true. And again, as a side note, Iceland is generally broken into eight regional jurisdictions. 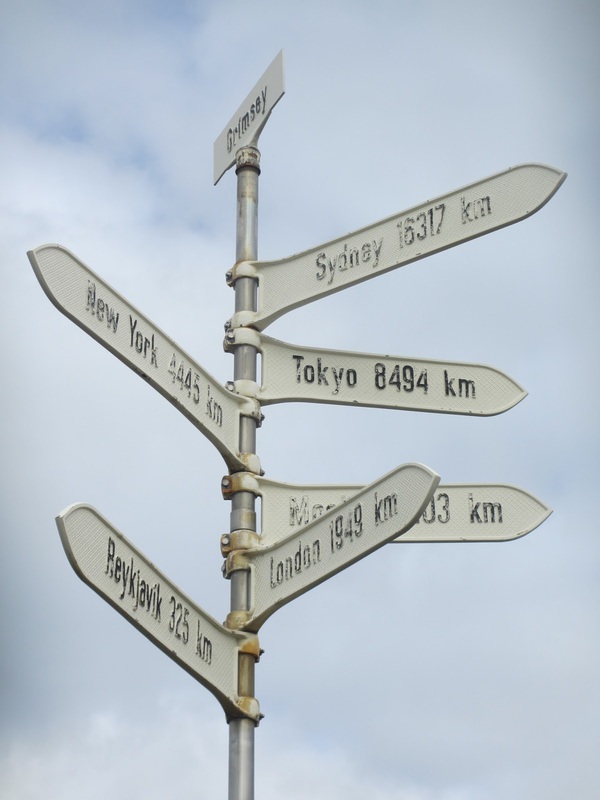 We had decided that we wanted to at least set foot in each region during our trip. 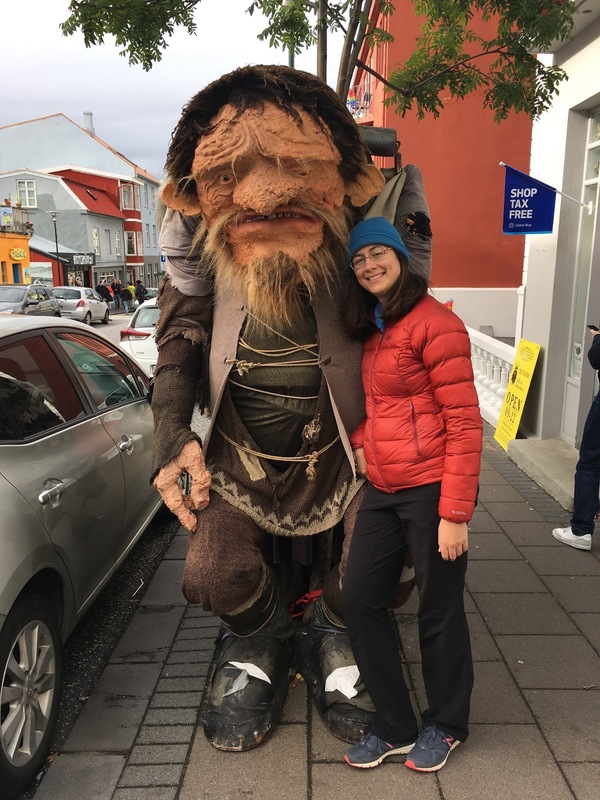 Without rehashing the entire story again, basically, my goal was to ferry to Grímsey in the morning, arrive on the island around noon, and have about 4 hours to hike around. 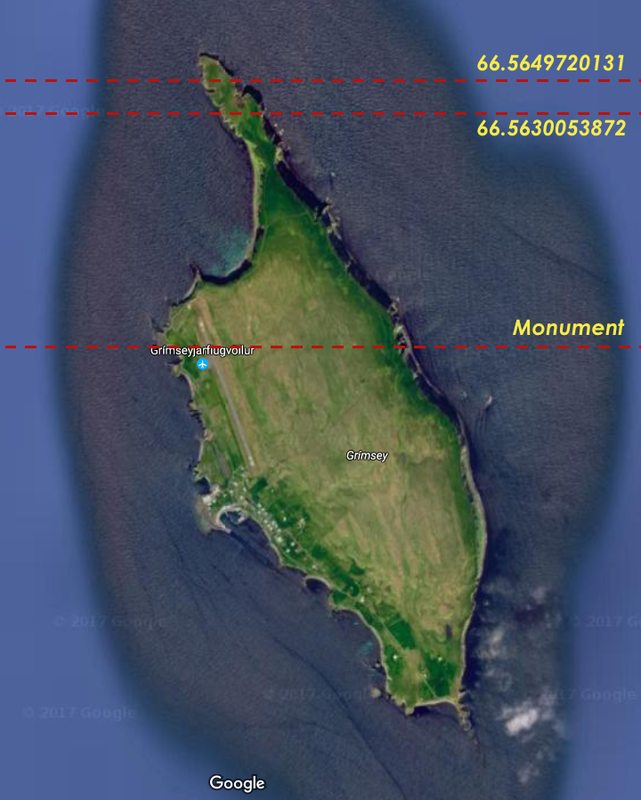 Ideally, we would want to hike up to the Northern tip of the Island, crossing the Arctic Circle monument, as well as both lines defining the Arctic Circle (depending on which source and definition you use)....and then hopefully have enough time to circumnavigate the rest of the island on foot. Incidentally, the Southern tip of Grímsey is actually further south than the Northernmost point of mainland Iceland (Rifstangi) that we had just visited two days prior. We arrived at the ferry dock on schedule, presented our boarding passes, and were on the ship in no time. Buying the tickets ahead of time was a huge time saver, but was also quite difficult to navigate. 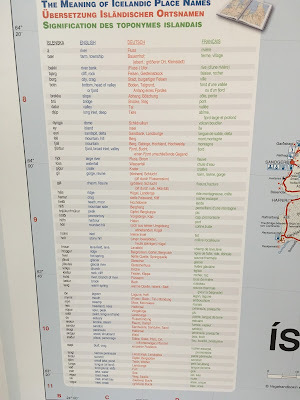 It was hard figuring out where to buy the tickets, and it was even harder to get the pages to load in English. For those looking for info, here is the English Page for Saeferi...the company that does the bookings for the trip. 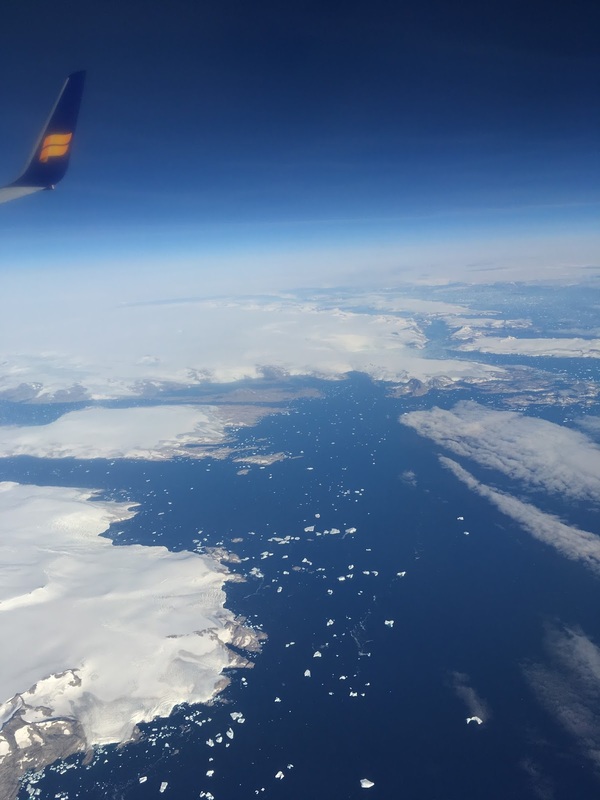 We were on our way after a short safety briefing, and very quickly were out of the large Eyjafjordur Fjord and into the open Atlantic Ocean. For the first time in a very long time, I got to experience "rough waters". Needless to say, almost all of the other people on the ferry (about 20 of us) got sick. I managed to keep from actually losing my breakfast, but it took some serious focus. I found it best to sit outside and watch the horizon. The trip took over 3 hours, so it was a rather long way to spend a morning. It was all worth it though when I got my first look back at Iceland from about 30+ miles out, and could see the amazing topography and fjords. Simply incredible. 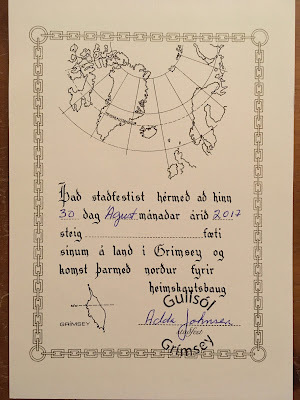 We pulled into Grímsey on schedule, popped into the visitor area, and then began our northward hike. I didn't want to waste any time...and was simply too giddy to keep still. The entire hike was on established trails and made for easy/fun walking. 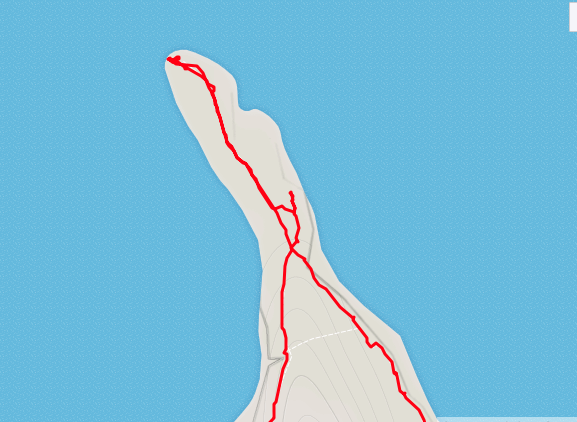 I wore my Garmin and kept a track of the hike for posterity. 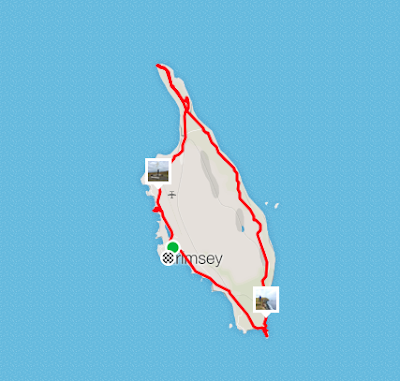 Grimsey Track! 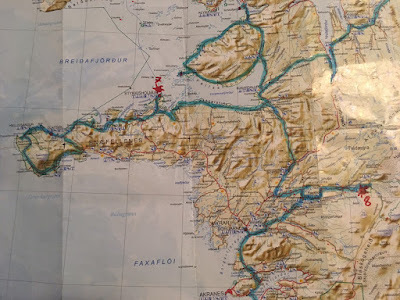 Map showing the major lines of latitude I was hoping to cross. Our full hiking track for the day. 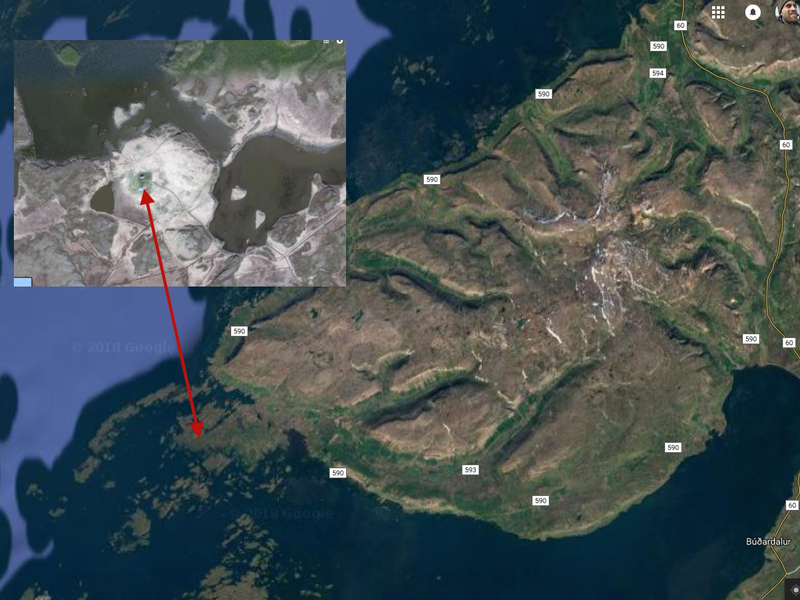 Our track at the Northern Tip of Grímsey. As we made our way north, we first passed the established monument just off of the airstrip. It was a good spot for some photos, but I knew it was only symbolic. 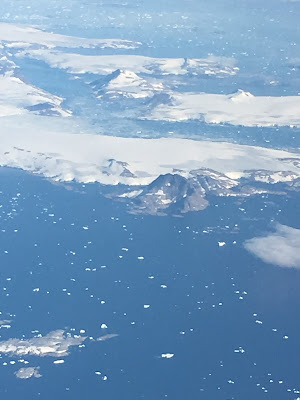 With the monument being erected decades ago, I was keenly aware that standing there, we were still several hundred meters south of the true Arctic Circle. So we hiked onward. 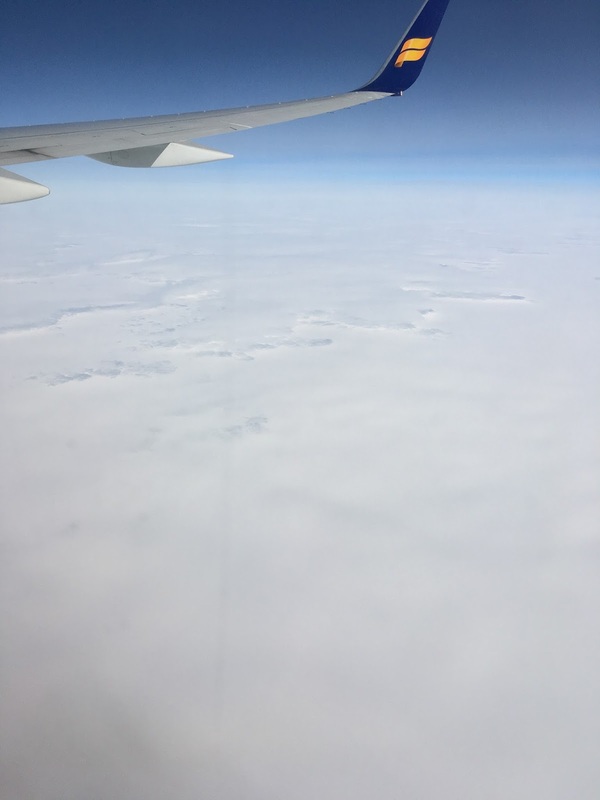 As we approached the first marked Arctic Circle line, my GPS started chirping and I got visibly excited. Still, the true line was even further North. But then I looked ahead and noticed something bizarre. "What is that? It almost looks like a giant sphere. What the...???" Ahead near the Northern Tip of the Island, right about where I had calculated the obliquity/nutation would put the Arctic Circle, there appeared to be a giant concrete sphere. "How hideous!" I thought. I was honestly quite bummed at the sight of it. 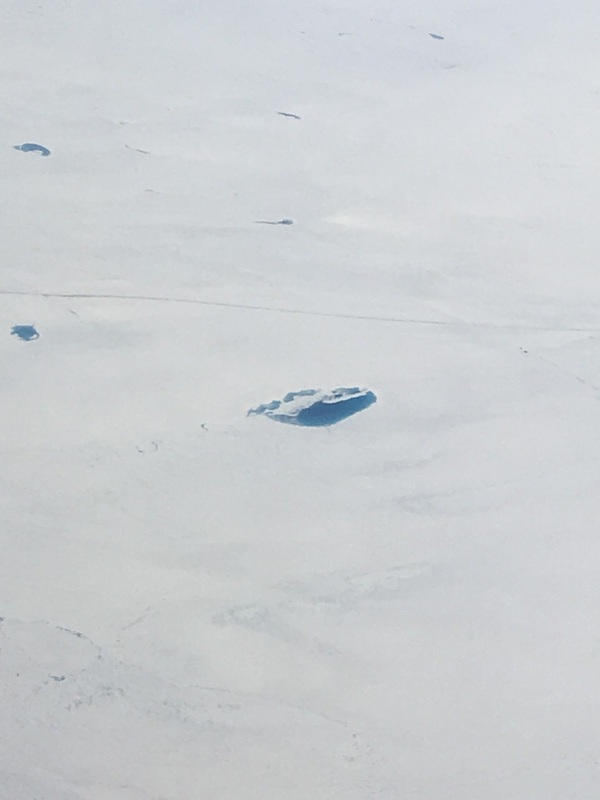 Clearly, there was some giant man-made object now present on Grímsey to mark the true Arctic Circle...an object that had not been there in 2016, nor in any of the photographs I had seen. 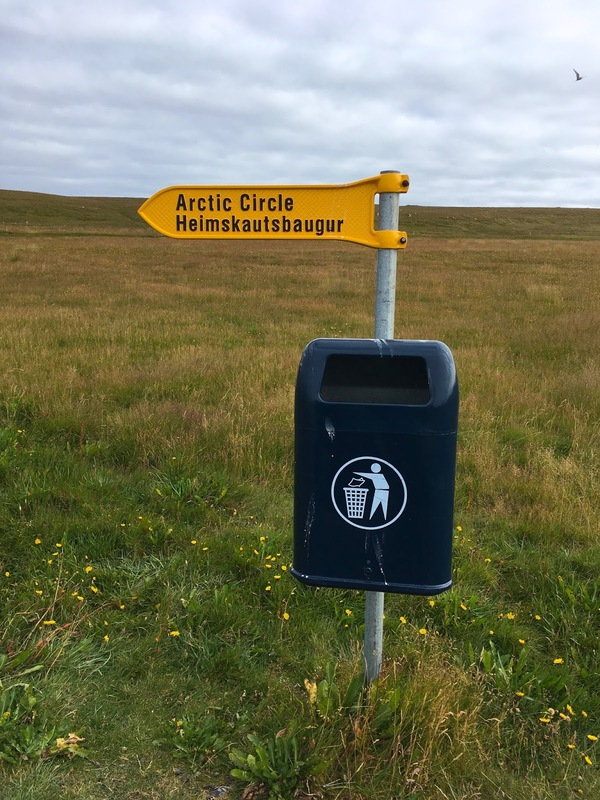 As I came to discover later, there was a contest put forth by Iceland to design a new monument marking the TRUE Arctic Circle. The giant sphere won the contest because the Artist noted that it could be rolled North and South to mark the changes in obliquity/nutation of the orbit....just as I had written about a year ago. Well I'll be damned...someone stole my idea! Oh well... 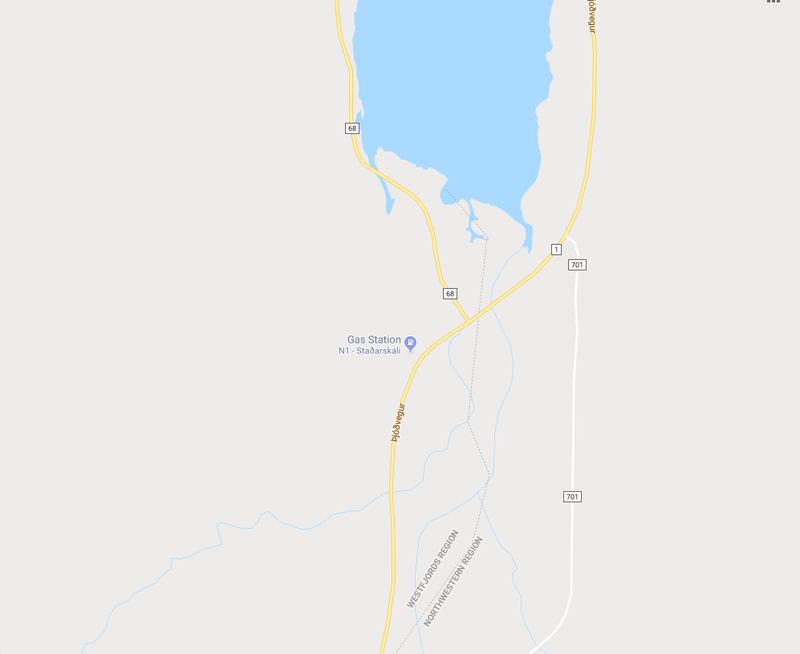 It was a good idea from a geographile's perspective...but man, was it definitely an eye sore. Ugh. Here is an article about the monument, titled: "Orbis et Globus"
I had somehow felt that by ferrying to a tiny/remote Icelandic island, and then trekking 3 kilometers north to a remote patch of land, that somehow I'd feel completely alone and isolated. 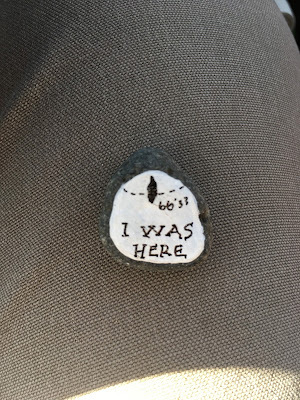 However, when I got there, I was welcomed by a giant, man-made concrete globe, and about 15 other people from my same ferry trip. It definitely took the "remoteness" factor out of the situation...but I refused to let it dampen my spirits. I was still on a remote speck of land, standing on the few acres of Iceland Soil above the Arctic Circle, and that was incredibly satisfying. 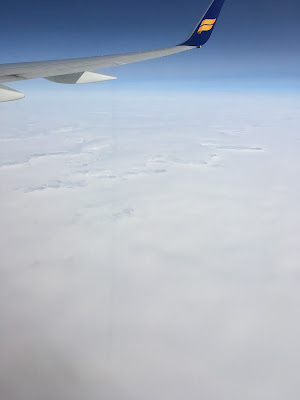 At one point, I commented that every person on all of Iceland was South of me. I love that kind of stuff. I took multiple pictures and videos, and then after eating a meal "in the Arctic" we headed South along the Eastern cliffs to the Southern tip of the Island. Eventually we made our way back to the boat dock area and the few houses on the Island, and hopped on our ferry to head back to the Mainland around 5 pm. We made it in just after dark, and camped for the night in the same campground. By then some clouds had moved in, and we were not able to see any Aurora. 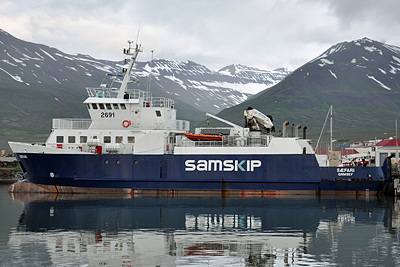 I didn't care as I had fulfilled my dream of venturing to the tiny island of Grímsey to explore the Arctic. Truly a memory I will cherish forever. I bought a tiny painted rock at the gift store on Grímsey to commemorate the occasion. 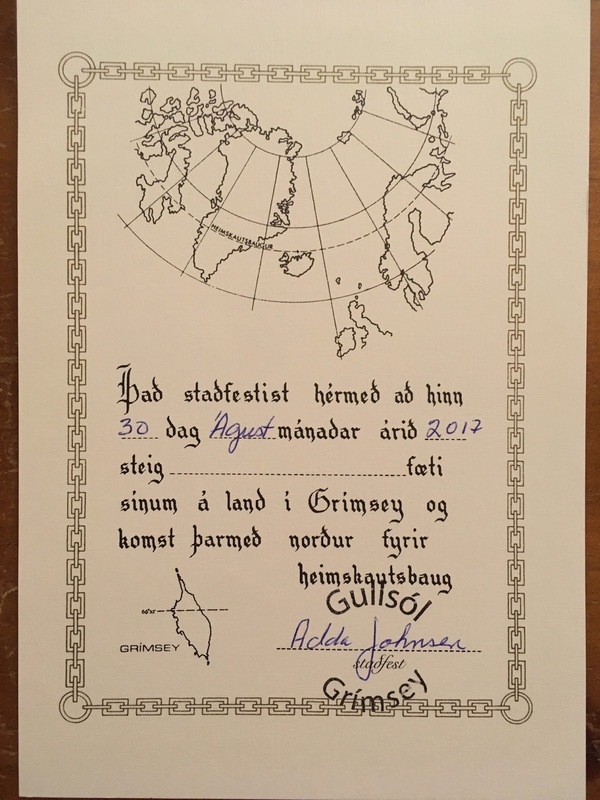 In addition, we were presented with an official Certificate (in Icelandic) stating on 30-Aug-2017, we explored North of the Arctic Circle. Before turning in for the night we walked across the street to a local restaurant and splurged again on a nice dinner. Lamb and a glass of wine for us both...nearly $100 USD. Ouch. 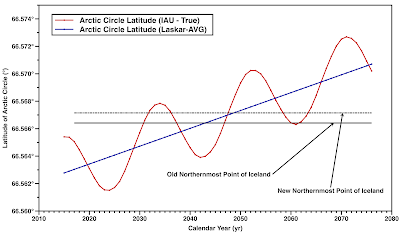 Iceland might stay above the Arctic Circle through 2063. Here is a screen grab from a video I took at the Northern Point. 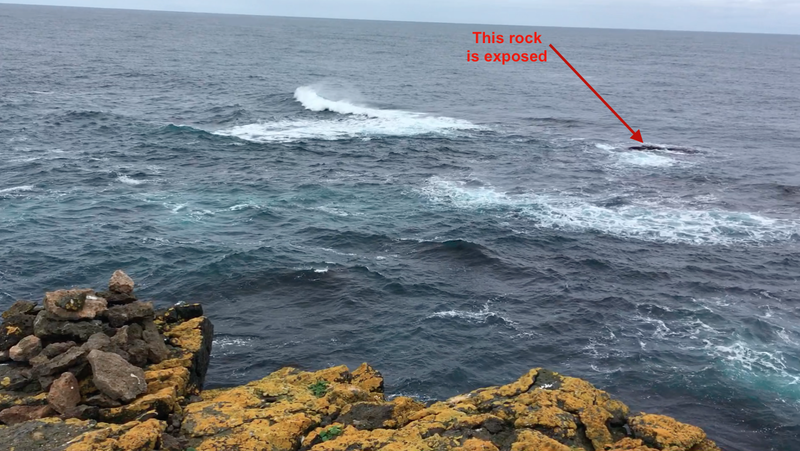 You can clearly see the expose rock. These were the Northernmost sheep in all of Iceland! Well...this thing is hideous. Let's take a photo of the scenery instead. Ok fine...let's take some fun pics with the "globe"
GPS point officially above the Arctic Circle! Placing a rock on the absolute tip of Grímsey. There's a 50+ foot vertical drop off just past this rock. Video to mark the occasion! 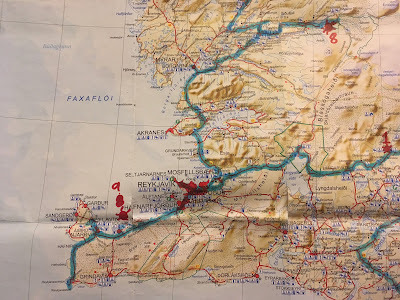 We drove the small looped peninsula in the Western Region on Day 8. 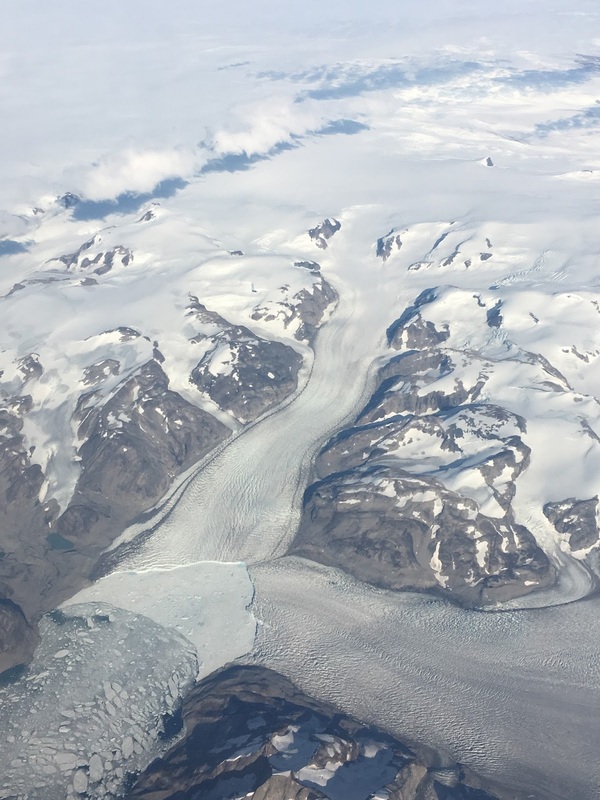 Following our day-long adventure on Grímsey we set out on day 7 with an open schedule while carefully monitoring the weather forecasts. 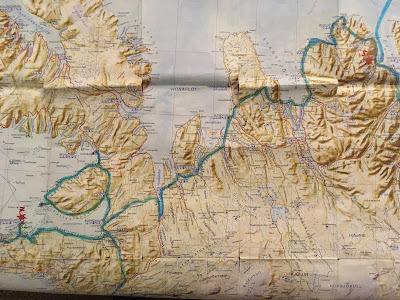 Our plan was to either drive up into the Westjfordlands (a place not known for many tourists due to its remoteness), or head over to the Snaefellsnes Peninsula (Sny-fetls-ness). We knew it would be a big-mile day, and that there wasn't a whole lot to see along the way. 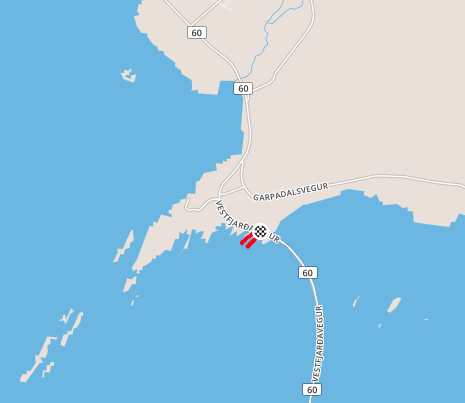 We opted to detour up along the northern coast early in the day in order to drive through a few length road tunnels. Other than that, we spent a lot of time simply driving. The northern road passed through three tunnels underneath the fjord mountains. 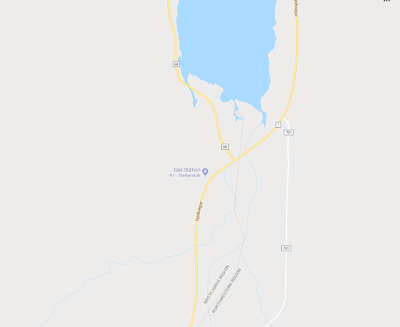 I did notice something interesting on the map that we'd be driving right by early in the morning. 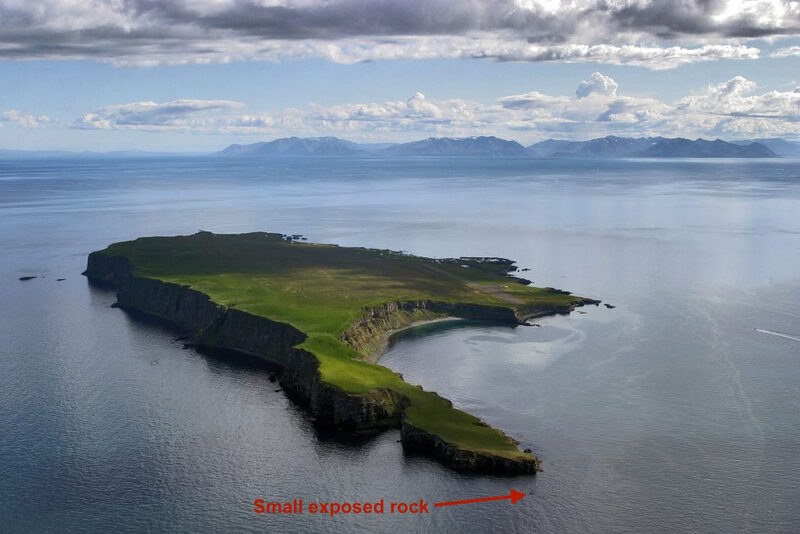 There was a small island (Þórðarhöfði) off the coast, that was connected with two long spits of land that looked to be hike-able. It looked like a fun place to walk out to if the weather was good. We did end up taking this little detour and while it was fun, the loose rock made for very tiresome hiking. In addition, the winds were howling. Headed out the hike to Þórðarhöfði "Island"
On Þórðarhöfði "Island"! We made it! Looking back to the mainland. 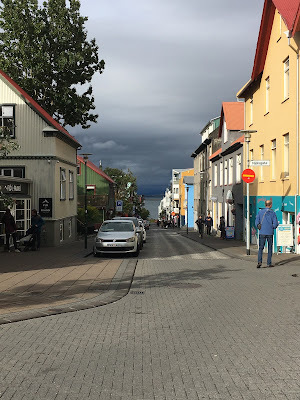 What was so amazing about our 7th day was that it started off mostly grey and dreary...and ended up being the sunniest, clearest, and most spectacular weather day we'd get on our entire trip. We ended day 7 with another incredible Aurora display that lasted over an hour in one of the most lovely spots in Iceland...Stykkisholmur. But I'm getting ahead of myself. 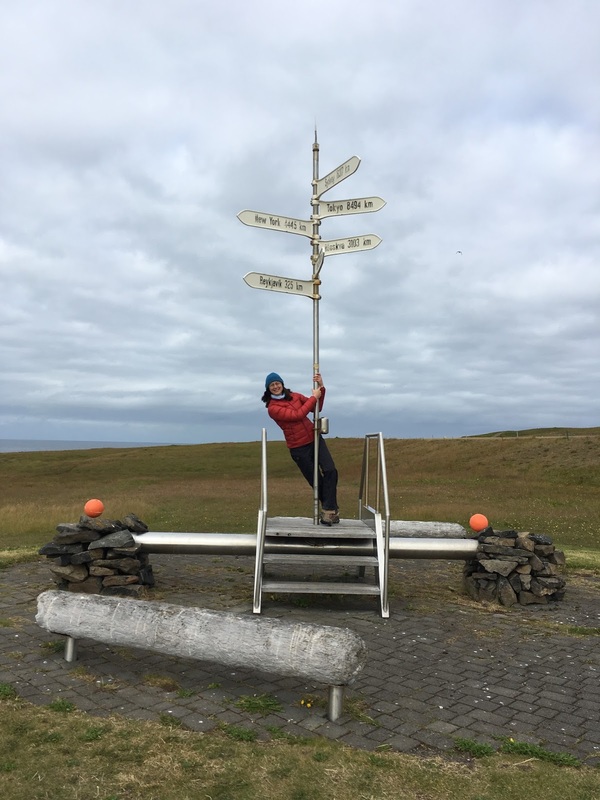 After we got back from our windy hike, we had to make the decision on where we'd head next....Westfjordlands, or Snaefellsnes. When we checked the forecasts...they were calling for beautiful sunny skies in Snaefellsnes, and rain in the Westfjordlands. The decision was made. I told C, that I at least wanted to drive a small way into the Westfjords region so we can at least say we visited it though. We came to learn that there is a small neck of the Westfjords region that extends South along and intersects the East-West route over to Snaefellsnes. I can recall we stopped for gas in a small town called Staður. While there I noticed my GPS was locating us in the "Westfjords". I looked closer and realized we were just across the border and had thereby visited the region. The gas station we stopped at in Staður. 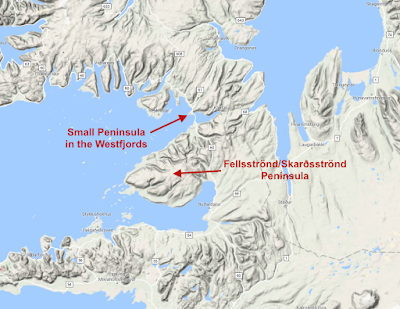 You'll notice we were technically in the Westfjords Region. 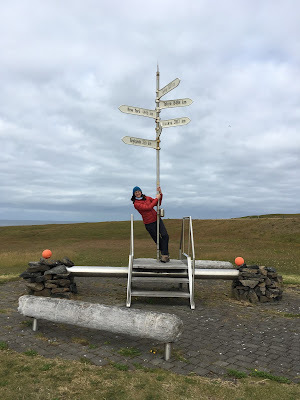 We made our way rather quickly over to the Snaefellsnes Peninsula with the idea being that in the morning we'd spend the entire day there as the forecast was also calling for at least a clear morning as well. 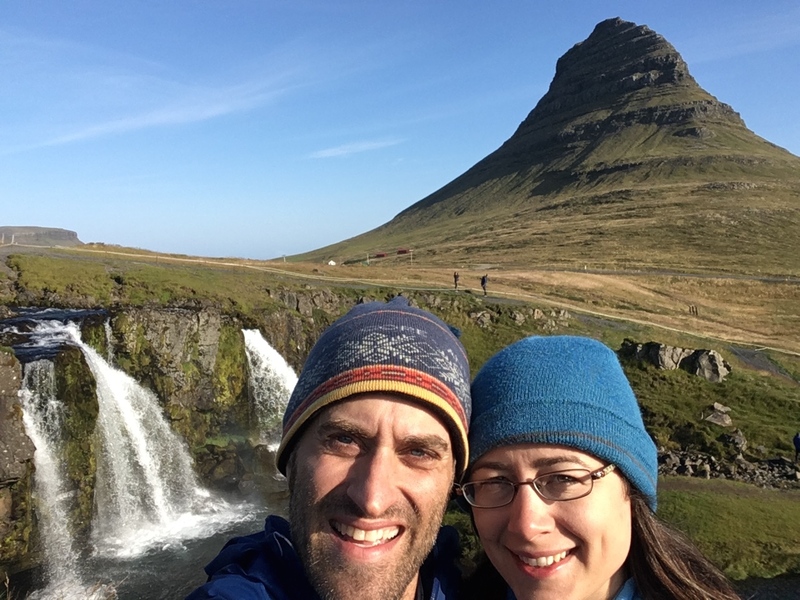 We really wanted to try to catch the incredibly famous (and over-photographed) Kirkjufell with good weather. It suppose it is a bit cliche' to visit Kirkjufell, but it truly is an Icelandic Icon...and insanely beautiful. We really did take it easy on day 7, but it was a nice change of pace. We never felt rushed, and we were in fantastic spirits due to the incredible weather. 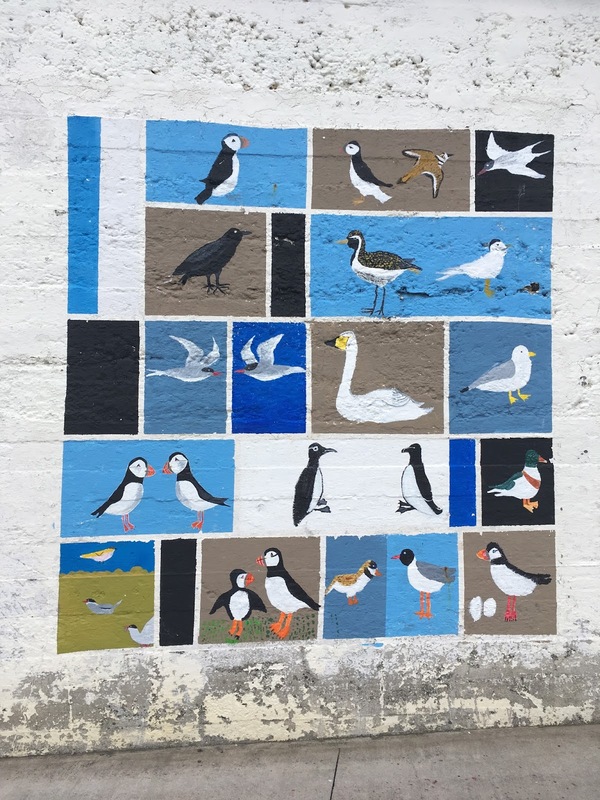 We decided to end the day in the sea town of Stykkisholmur...a quaint stop with even quainter shops (is that a word?). We found a divine bakery, filled up on some baked goods, and then headed over to the campsite to fix a proper dinner. 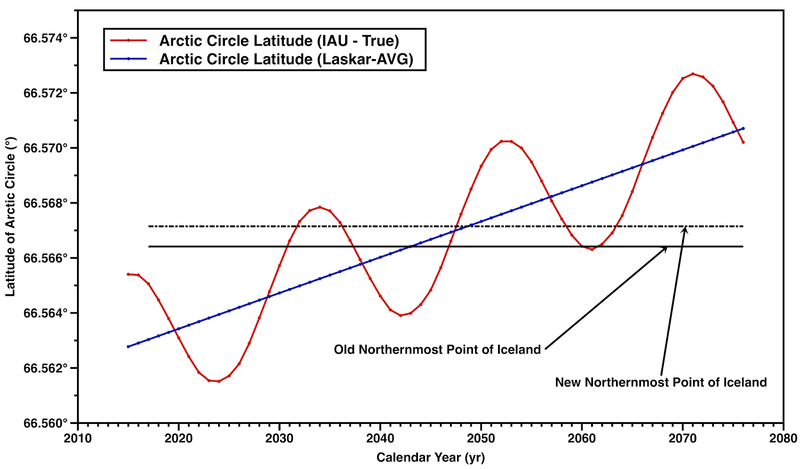 As the sun began to set, we checked in on the NASA aurora forecast website. 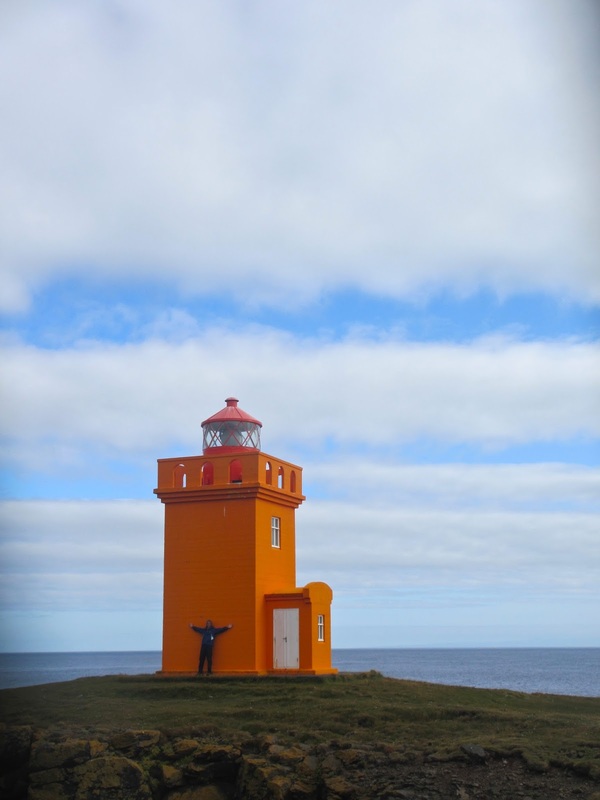 Sure enough, Iceland was lit up brighter than anywhere in the Northern Hemisphere. We set up our two camp chairs, pulled all of our blankets and duvet out of the van, and curled up together in the chilled air under the stars. We waited....and waited. Nothing. 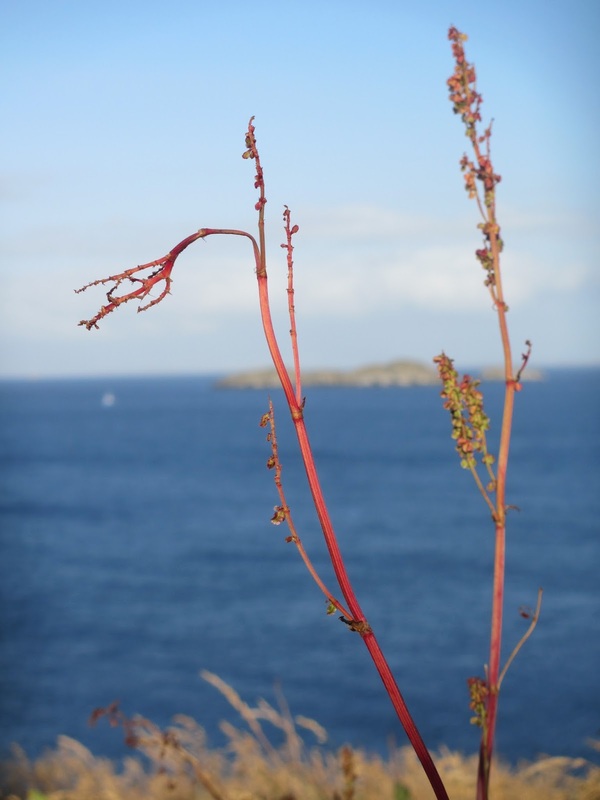 And then a faint wisp perhaps. ...and then suddenly the surreal Aurora display began again. We watched for over an hour as curtains of green magic waved and rippled across the sky. Our fingers were going numb, and we were rightly shivering, but we just couldn't turn away. Eventually we climbed into the van giggling about the display we just witnessed and fell asleep. Another amazing day in Iceland. 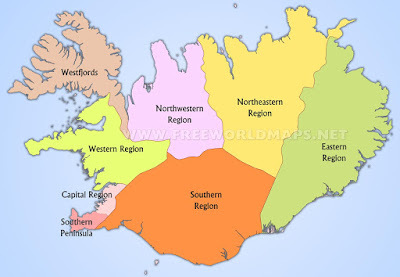 As I drifted off to sleep I realized that by skirting across the Westfjords earlier in the day, we had actually now visited all regional jurisdictions of Iceland...and still had 2 days left! We also made friends with a local cat at the campground. Never did find out his name, but he certainly liked belly rubs. Day 8 was another remarkable day with many a wonderful experience...all permanently engraved in my memories. The map is a bit confusing for the day, but our basic plan was to spend most of the day on the Snaefellsnes Peninsula, and then sort of "wing it" in the late afternoon. We didn't know exactly where we wanted to end up, we just knew we wanted to be on or near the Ring Road headed back to Reykjavik by Night. This would ensure a short drive on Day 9 so we could spend the day in the City. First stop in the morning would be the the incredibly photogenic Kirkjufell. This mountain is probably one of the most photographed and most recognizable places in Iceland. It's truly an iconic place. Our hope was that being in Stykkisholmur, that we'd get to it early enough in the day, that it wouldn't be crowded yet. Sure enough, we arrived very early in the day and were the only ones there. We got a lot of nice pictures of ourselves at this iconic place, but by the time we left just 30 minutes later, the parking lot was jammed full of tour buses and cars. We timed it perfectly. Along the coast near the mountain were a group of beautiful Icelandic horses as well. The weather was absolutely perfect at Kirkjufell...although the forecast did have some clouds coming in by noon. We were glad to enjoy such a lovely morning. 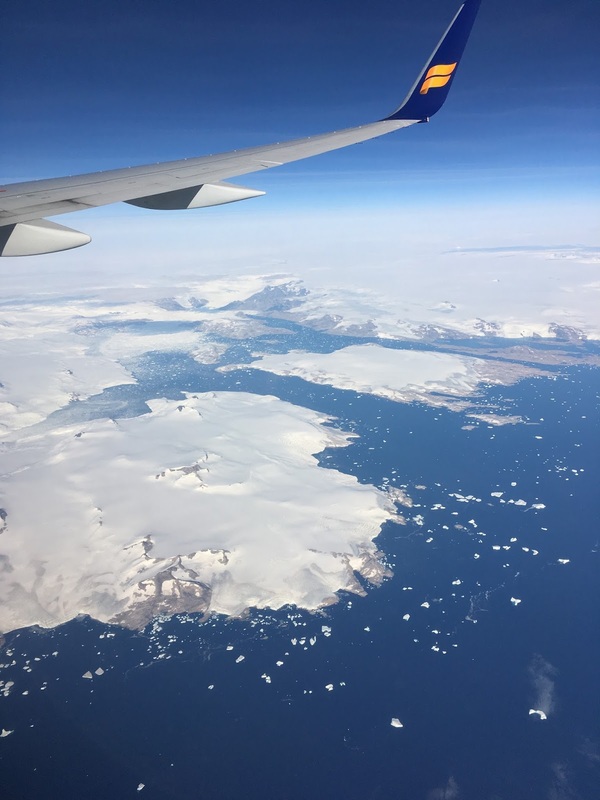 Next stop would be the end of the Peninsula and the stunning Snaefellsnes Ice Cap. 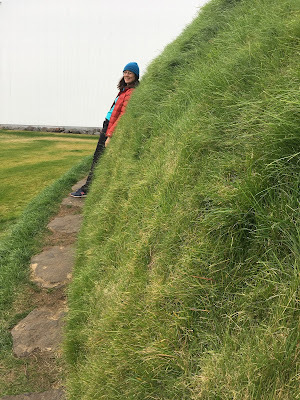 We made our way out to the tip of the Peninsula and spent several hours exploring in and around the Snaefellsnes Mountain and Ice Cap. Unfortunately all of the "good" roads leading up to the exposed glaciers were marked as "F Roads" and we were not permitted to take our rental on them. We probably could have, but knowing that the rental company GPS tracks their vehicles, meant we didn't want to pay a big fine up on returning it. 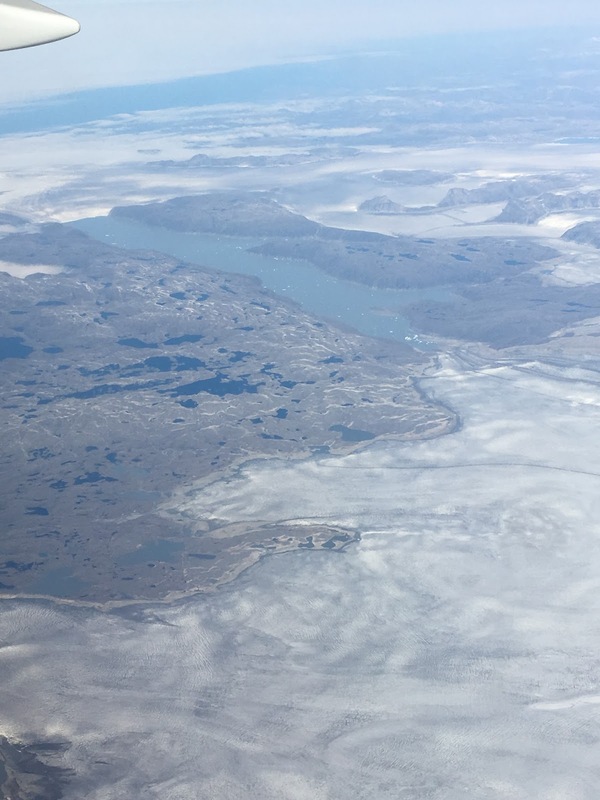 We drove around the far Western tip of the Peninsula stopping many times to explore the lava fields, or remnant craters (Saxhólar Crater)...all while taking dozens of pictures of the ice cap. The entire area was truly stunning and a must-see in my opinion for anyone exploring Iceland. 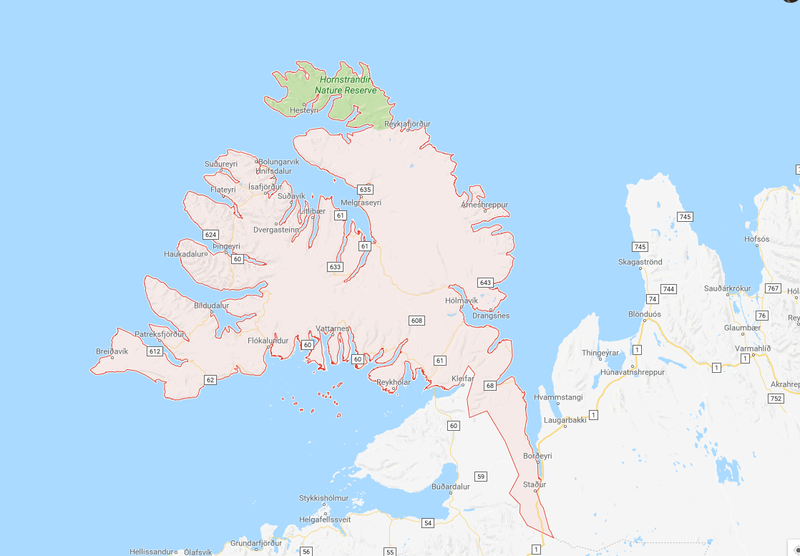 I realize that the Snaefellsnes Peninsula is off of the traditional Ring Road, but it really is worth the extra drive. 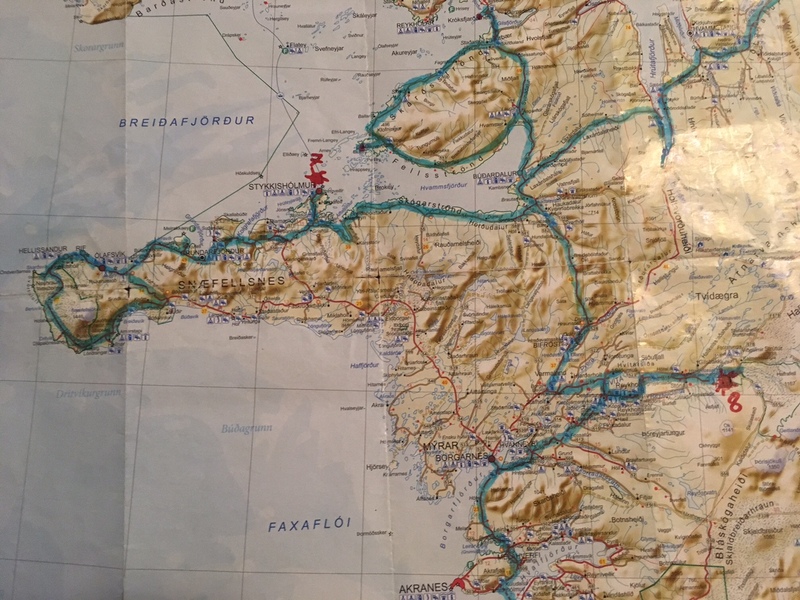 As we came around the Southern coast of the Peninsula the weather finally turned foul. We had plans to spend a few more hours exploring but noticed that the weather looked better more inland. 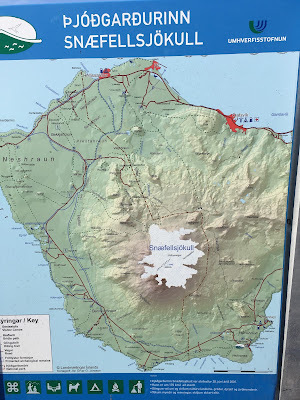 With that in mind, we instead chose to head back towards the Ring Road and possibly drive up a little North to explore the Fellsströnd/Skarðsströnd Peninsula. 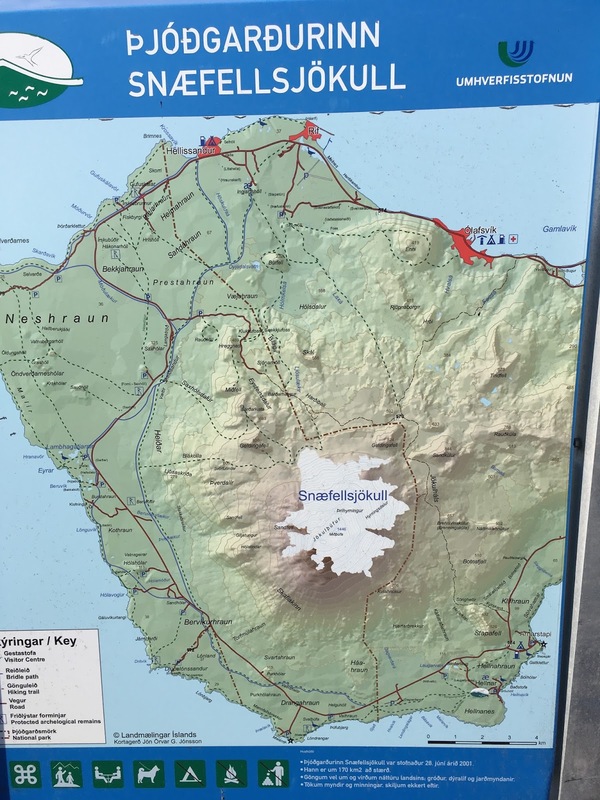 This little bubble of land juts out just north of the Snaefellsnes Peninsula and offers a wonderful and scenic gravel-road loop-drive around the coast. What this loop lacks in tourists stops, it makes up for in rich landscape views and remoteness. Before starting the loop though, I had made one request. 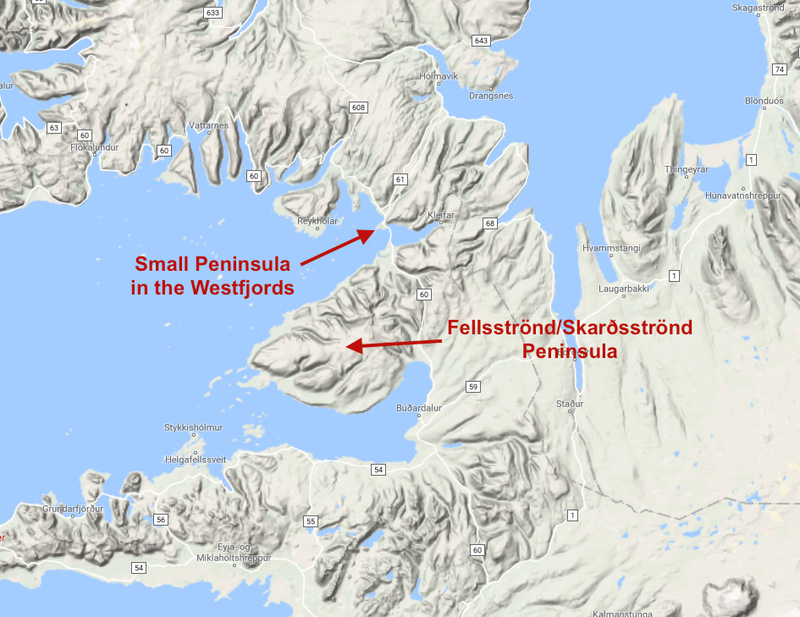 Despite having "visited" the Westfjords the day before, albeit briefly and in transit, I requested that we make a short pop up into the Region for a wee hike. 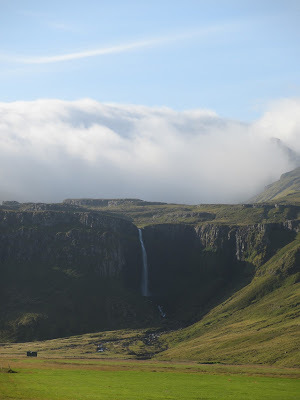 So just before jutting off to the West at the Northern end of the Fellsströnd/Skarðsströnd Loop drive, we popped over the bridge up into the Westfjords Region. We drove about 5 miles north before eventually just turning around. On our way back to the bridge we stopped at a parking area spent an hour hiking around and exploring the long and skinny tracks of land jutting out from the highway into the Ocean. I made sure to capture one of the tracks on Strava for proof (because I'm OCD like that). 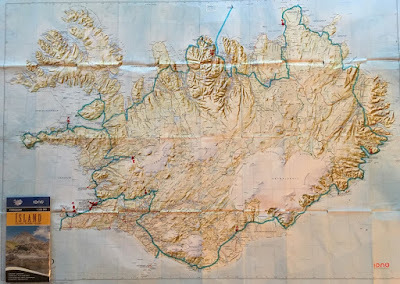 We headed south and began our loop around the bigger Fellsströnd/Skarðsströnd Peninsula. We absolutely loved our detour around this piece of land, and even stopped to make several side trips out on unknown dirt roads. There were clouds ominously folding over the tops of the mountains in such a a way that they almost appeared as a liquid. I took a time-lapse of this phenomenon and was simply blown away by the apparent fluid motion of the cloud layer. We stopped at a few remote and scenic places for snack breaks and just to take in another lovely evening. 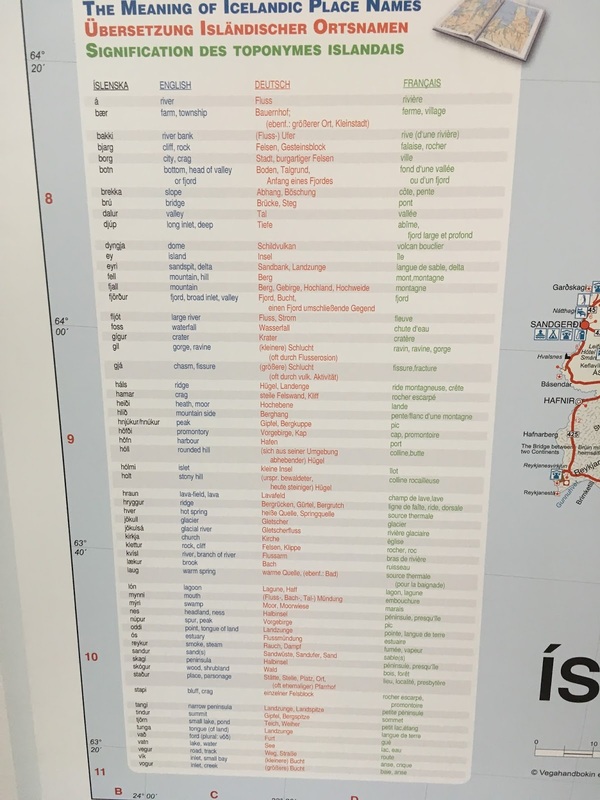 On one occasion, we saw a sign indicating a very long name in Icelandic. We had no idea what it meant so we took the road to try and find out. After a 30 minute and very bumpy drive, we arrived at a diminutive church perched way out at the farthest extreme of land. 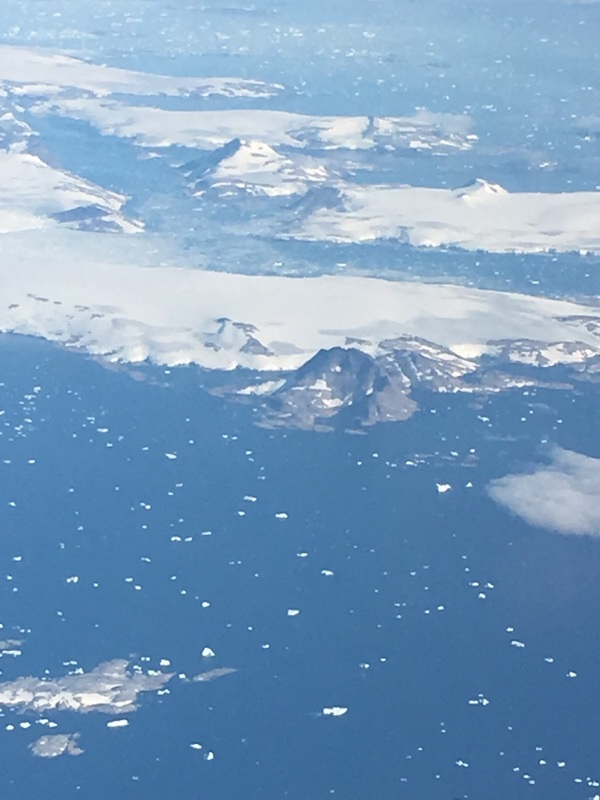 It was bizarrely surreal and remote. What the heck is this? Maybe a church? Where we drove out to on some rough roads. When we finally left the area, it was already getting dark. We drove quickly and made our back down to the Ring Road and stop for a gas fill up and snack at the Grábrók Volcano Crater. From there we weren't sure what we wanted to do. 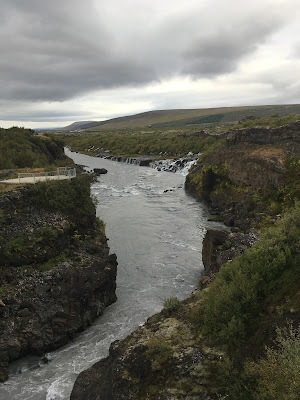 On a last minute whim, we decided rather than to just camp on the Ring Road, to take the 30 minute drive East up to the Langjokull Glacier and make camp at the Húsafell Campsite. 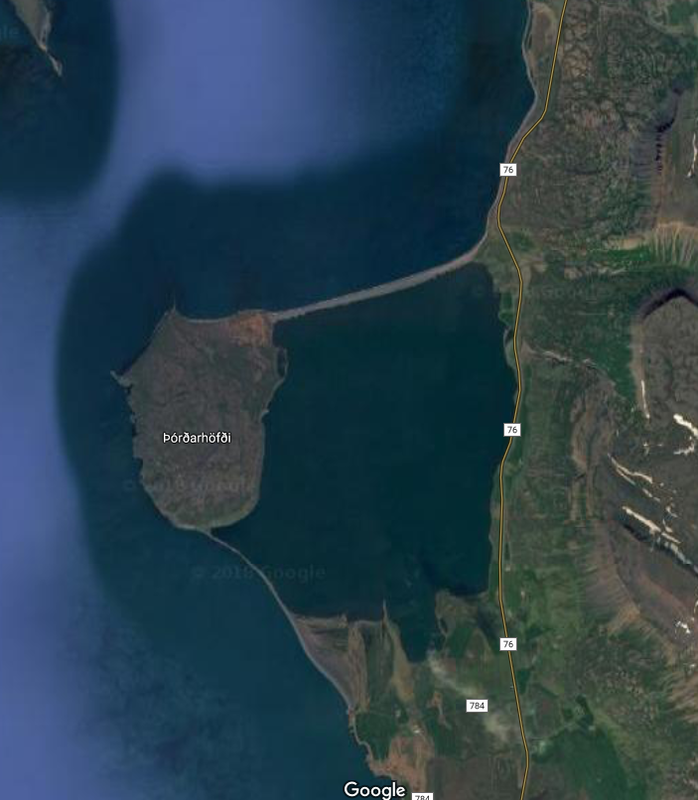 We knew this site was a bigger one with quite a few amenities, and we know the Húsafell area was also quite interesting volcanically...so why wouldn't we, no? We pulled into the large camping area well after dark, parked quickly, made a dinner of leftovers, and were tucked into bed rather quickly. We knew our next day would be our last full day. As excited as we were to spend a day in Reykjavik, we knew that our remote exploration of wild Iceland was essentially over. We were content knowing we truly sucked the marrow out of our short 9 days. 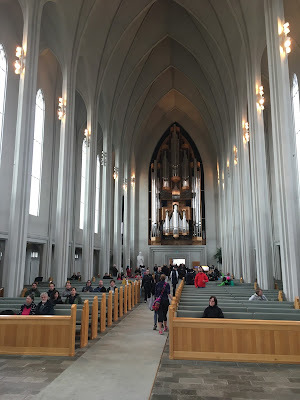 Day 9 would be our last full day, and other than the relatively short drive down from Husafell, we had planned to do the urban tour of Reykjavik. We stopped at a few places briefly around Husafell in the morning but very quickly found ourselves driving south. The one notable stop was the Barnafoss waterall which flows directly out from within a lava flow. Closer to Reykjavik, we took the Hvalfjordur tunnel (the longest in Iceland) on our route, which made for a fun distraction. We also stopped in a few tiny towns for coffee and baked goods here and there. It was very apparent as we got closer to Reykjavik, that we were entering an urban area. Gradually, we began to see more buildings, more cars, more infrastructure, and simply more people. Once in the city proper, we found a place to park and began exploring. 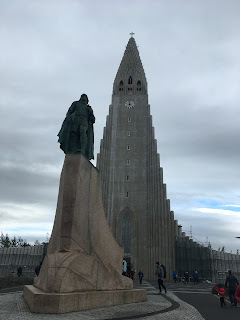 We spent a lot of time at the Botanical Gardens and right in central downtown near the famous Hallgrimskirkja cathedral...which is also incidentally modeled after the geologic features known as columnar basalts. I posted a picture of some columnar basalts in Part 1 of this post at the Svartifoss Waterfall. 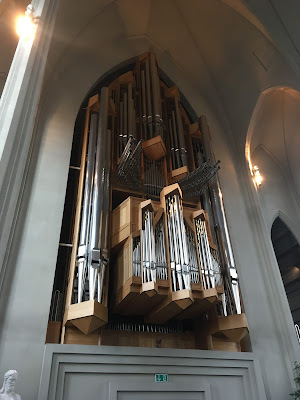 The cathedral itself was indescribable and had the largest and most mind boggling pipe organ I've ever seen or heard. We explored the urban jungle of Reykjavik, making sure to get a world famous hot dog. For whatever reason, it's a tradition that if you visit Reykjavik, you go to the Baejarins Beztu Pylsur hot dog stand and get a world famous dog. Having not eaten a hot dog in probably 10 years, I don't know what I was expecting. It tasted like a hot dog...that's about it. We rented some bikes, and played around for hours exploring various nooks and crannies of the city, visiting small cafes, sipping coffees, eating ice cream and hot dogs, and just plain giggling. It was a fun way to end our trip despite the very large volume of tourists and novelty/souvenir shops. Eventually we realized it was getting dark and we decided to make our last campsite just down the road from the Happy Campers rental location. 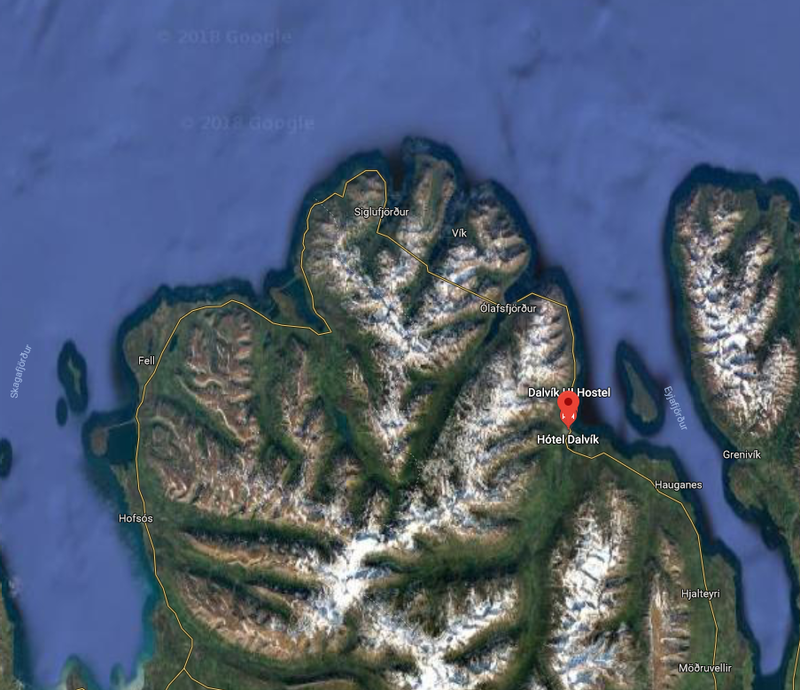 We drove the 30 minutes out of the city towards the airport and the tiny coastal town of Vogar where a free campsite was established for tourists leaving town. Upon arrival though, and assessing our funding situation, we decided to treat ourselves to a real motel room for our last night. It was expensive, but worth the soft bed and warm shower. Plus it allowed us a good place to sort through and thoroughly clean our vehicle for return the following morning. 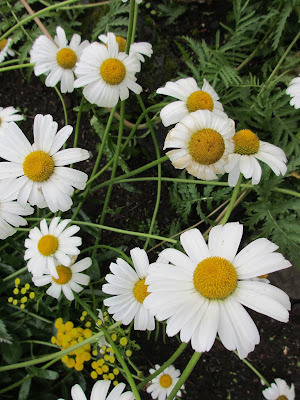 We went to bed that night both with a warm sense of contentment that we had made the most of our time in Iceland. With the weather we had for the first few days, it would have been very easy for us to give into the misery and complain. But instead we embraced it, made some compromises, and altered our schedule a bit to have the most amazing adventure we could have hoped for. In total, we drove over 1700 kilometers, visited all 8 regional jurisdictions, saw glaciers, volcanoes, mud pots, steam vents, geysirs, the Arctic Circle, the teconic rift zone, waterfalls, other indescribable landscapes....and the list goes on. What an adventure. So until our next trek...that about wraps it up. 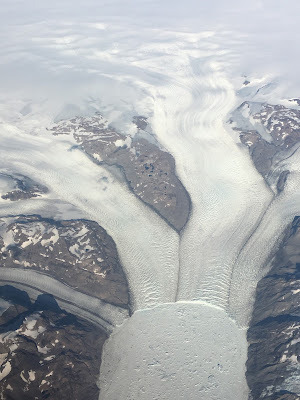 I'll leave this post with some other-worldly pics I took out the airplane window as we flew over the Greenland Ice Sheet. Small hut at the Botanical Gardens. Bilbo's summer home perhaps? 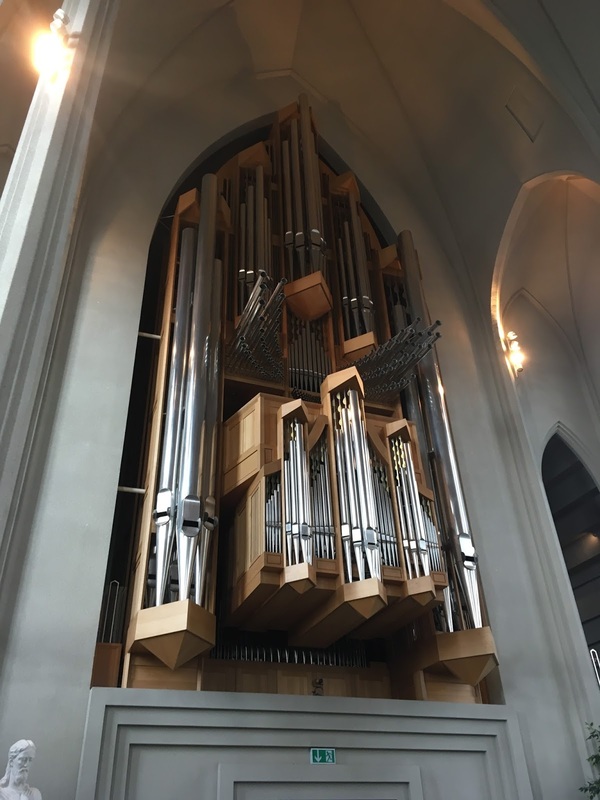 The pipe organ was HUGE! The famous hot dog stand....yep, that's it. Jumping cat advertisement for ....? ?